Are You Poisoning Your Child With a Lead-Tainted Soft Plastic Vinyl Lunchbox? The OCA writes, “Government documents obtained under the Freedom of Information Act (FOIA) by the Center for Environmental Health (CEH) were released today, revealing that the federal Consumer Product Safety Commission (CPSC) withheld information about high levels of lead found in its testing of children’s vinyl lunchboxes, and falsely claimed that agency tests showed no need for concern.” This investigation began almost two years ago and finally the mainstream press is picking up on this issue. I can’t believe it took a Freedom of Information Act filing to reveal this information. I have no faith in the Consumer Product Safety Commission (CPSC). For more information, please see our previous post “More Lead Hazards: Lunchboxes”. 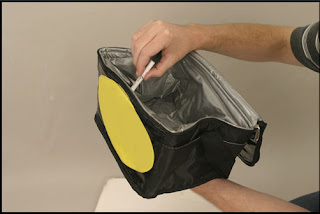 Reusablebags.com offers many lead-free lunchbags.